Employees can be shocked when they find themselves in the position of having to reapply for a job they already have. It's especially difficult when there isn't advance notice and a group of employees, an entire department, or even most of the employees at a company are told that they can choose between a layoff and a new job at their present employer if they can get hired for one. 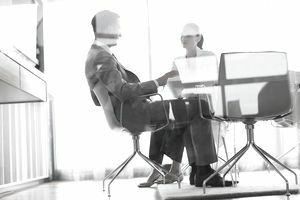 It is not uncommon for employers to formally ask all or some of their current staff to reapply for a job after a merger or acquisition. It can also happen when a company is downsizing, layoffs are planned, and there will be a limited number of new positions. In this case, current employees will have to compete for one of the job openings that will be available. Another reason for asking employees to reapply is that it precludes discrimination issues that could occur if an employer decides to keep some employees and not others during a restructuring. Starting over with rehiring enables the company to give all current employees an opportunity to apply and, in theory, enables the company to keep the best-qualified employees on board. Share your understandable feelings with a partner, friend or counselor outside of work as often as necessary. While at work be careful not to air your frustrations with anyone in either an overt or subtle way. Your employer will favor employees who will have a positive attitude and will add to team morale in the new configuration. Do not assume that your employer knows all about your accomplishments. Some of your achievements may have occurred under the radar and there may be new decision makers who don't know you involved in the evaluation of candidates. Don't presume you'll get the job. There may be a limited number of openings and, regardless of how well you did at your other job, there is no guarantee you will be the candidate selected for the new one. Construct your resume with an emphasis on the value that you have added to the company through various accomplishments. Whenever possible, quantify your results and note the skills, knowledge and personal qualities which have enabled you to generate those successes. Write a detailed cover letter which points out your core assets for the job and clearly expresses your enthusiasm for continuing with the reconfigured organization. If the job is different from your current role, make it clear how the new responsibilities are attractive and suitable. Also, be clear how you are qualified to handle them. Immediately start doing anything extra, such as working late or volunteering for a challenging project, that will prove your strong work ethic and positive attitude. Solidify relationships with any managers who might be in line to supervise you in your new job. These connections within the company can help boost your chances of getting rehired. Even if you eventually plan to leave because the new structure is not to your liking, follow the aforementioned strategies so that you can move on your own timing without an employment gap. Of course, you aren't obligated to reapply and, in some cases, it can be hard to get over the hard feelings and to see the company and your new role in it in a positive light. However, even if your employer is offering an attractive severance package and you are confident that you can quickly find a better job, make sure that you leave on good terms.